Katie was an orphaned baby budgie. We adopted her from the bird rescue. She is truly a little treasure from Heaven and has brought so much joy into our lives. 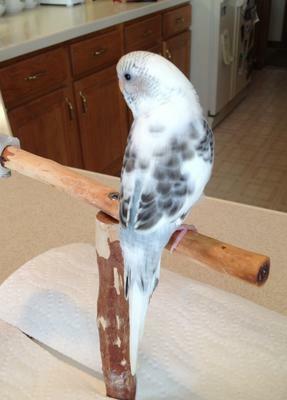 What a beautyful little parakeet! How old is she? What a beautiful story, and what a beautiful bird! Katie is very lucky to have found you.